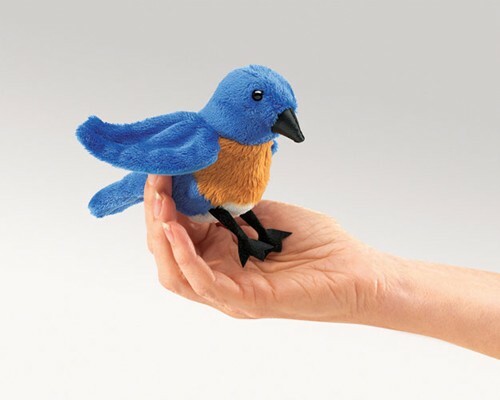 Folkmanis 2755 - A symbolic harbinger of happiness, the MINI BLUEBIRD finger puppet will surely be a delightful addition to anyone's collection. Finger puppet. Puppet measures 5” x 3” x 4”.